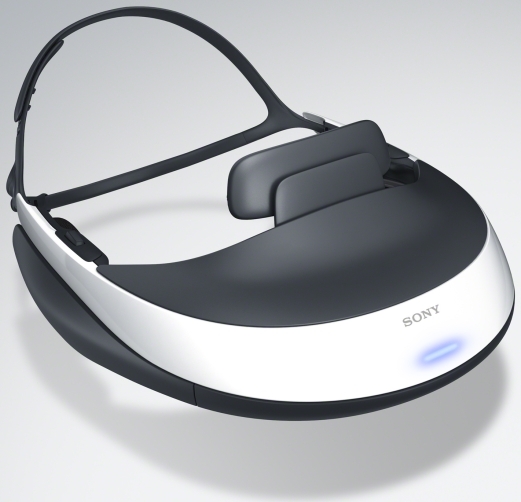 INDIANAPOLIS, Sept. 7, 2011 (CEDIA Booth #1803) - Sony Electronics today announced the launch of HMZ-T1, Personal 3D Viewer. 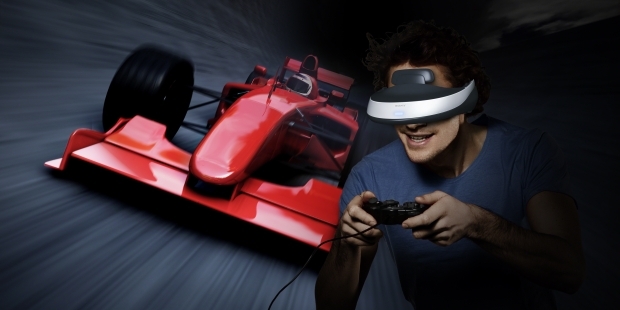 The head mounted display is a device that offers a one of a kind style viewing of both 2D and 3D content. Simply slip the device onto your head to experience the movie theater-like virtual screen and surround sound. Equipped with two newly-developed 0.7-inch (diagonal) Ultra-Small High Definition Color OLED Panels, the Personal 3D Viewer leverages Sony’s expertise in both OLED display and semiconductor drive technologies. The HMZ-T1 achieves HD picture (1280 x 720) quality that makes full use of the OLED display’s high contrast, wide color gamut, and fast refresh rate. In addition, the device adopts the dual panel 3D method which displays an independent HD picture to each eye in order to achieve a more natural 3D image. The viewer enjoys a bright 3D picture that is crosstalk-free. Viewers enjoy an immersive experience which is similar to watching video on a large screen approximating 150-inches from 12-feet away (750-inch virtual screen, virtual viewing distance approximately 65-feet away). Sony has also adapted its original virtual surround signal processing technology to deliver powerful acoustical equivalent of a 5.1 channel surround-sound system. Sony is the leader in bringing 3D to the home. From the ‘Lens to the Living Room’ - professional production technology to home viewing on 3D BRAVIA® HDTVs- Sony 3D gear sets the standard. This year, 3D got personal with the delivery of VAIO models and PlayStation®3 3D titles. Handycam® and Cybershot® cameras are also capable of capturing and playing back 3D memories. Now, the HMZ-T1 brings a whole new concept to 3D viewing, further expanding Sony’s 3D world. The Personal 3D Viewer will be arriving in the Unites States in November and is priced around $799.